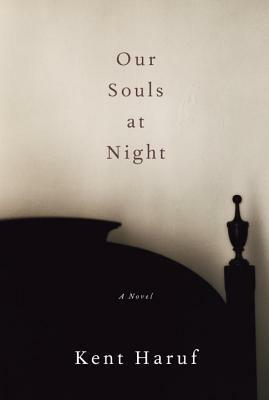 Our Souls at Night by Kent Haruf is best described as sweet. This terse novel was published posthumously, and its content makes me imagine that the author was in his final days when he penned it. This is a story of finding a way out of loneliness while believing that the opinions of others have little value or impact. Addie Moore and Lewis Waters are widowed and living in the fictional town of Holt on Colorado’s eastern plains. This is Haruf’s preferred setting as many of his previous works have centered around this small communityand its residents. Anyone familiar with his writing will recognize names and places. One day, Addie calls Lewis. They have known each other for years, but only peripherally. She wonders if he would like to spend the night. This is no brazen, immoral solicitation. It is one lonely heart reaching out to another. Addie’s son and grandson figure into the narrative as does Lewis’s daughter. The townspeople make sure these adult children are aware of what their parents are doing. Haruf provides a lot of detail such as teeth brushing and lawn care for someone trading in a scarcity of words (after all, the book is less than 200 pages long). Unfortunately, the premise, which is touching and somewhat whimsical, overshadows the writing, which is too mundane to be enchanting. Anyone who has experienced a meaningful relationship (be it lover or friend) will appreciate the warmth drawn from conversations that happen just before sleep. 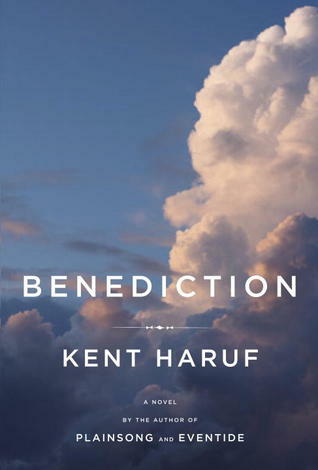 Kent Haruf’s Plainsong is among my favorite books. I haven’t read any of his other works for fear, I think, I’d be disappointed. After reading Benediction, one of the author’s last works before his death in late 2014, I realize I had no cause for worry. Set in the (fictional) rural town of Holt, Colo., this is an agreeably slow-moving, intimate portrait of the bonds between families and community. The first paragraph sets the tone: Dad Lewis, a long-time resident of Holt and owner of the hardware store, receives the news that he’s dying of cancer. In his dying days, his grown daughter returns home to help; longtime friends and neighbors drop in to visit; and a few flashbacks surface to help tell the story of an imperfect man, beloved by his wife and daughter, estranged from his son, who tried to do his best. The beauty of Haruf’s writing is that he provides just enough detail to hold the reader’s attention without overwhelming the imagination. That is, situations appear with gaps of information like potholes on a dirt road. Eventually, they get filled. Interactions with those Dad has known for years intersect with a few new residents to Holt: the preacher and his family, including an angry teenage son and an even angrier wife. The young granddaughter of the woman across the street is another significant character. It would be heavy handed to feature a new-born, but Haruf’s circle of life is gripping, lyrical and not at all mawkish.